Moving to a more circular economy could generate at least € 1.8 trillion by 2030. But how can a company adopt a circular business model, and what are the opportunities and risks? 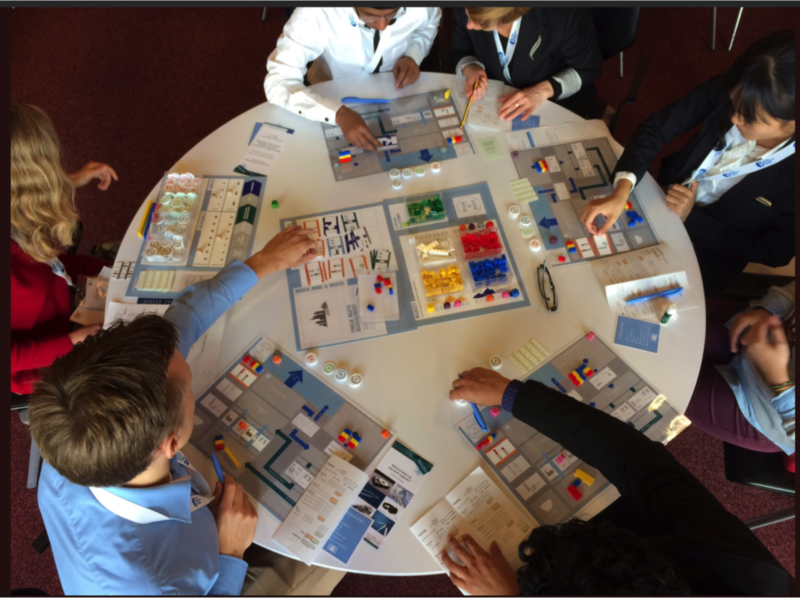 Risk & RACE is a game that offers fun and engaging insight into circular business models. In Risk & RACE, players take on the role of an entrepreneur: buying resources, producing and selling products on the market, and managing employees. External factors affect market demand, price and availability of resources and legislative requirements. Players invest in infrastructure, technological innovation, human resources and business strategies to strengthen company performance and remain profitable. The strongest performing company at the end of game (expressed by the player’s total amount of cash, investments, labor force, and societal impact) wins. Or interested to have us arrange a workshop at your location?